In lieu of posting a recipe this week, we’re switching gears to take a chance to both look back and look forward. This last week of July is a big one in the Bronski household. Our second daughter, Charlotte, celebrates her birthday. 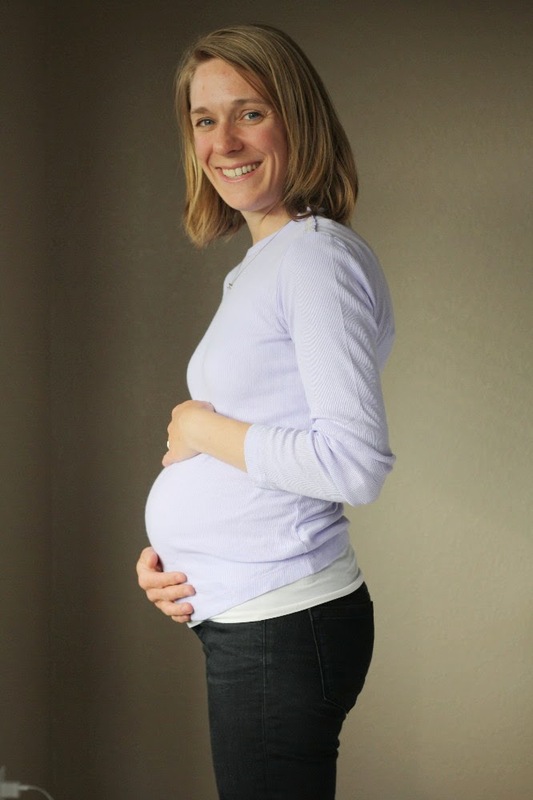 And as you can see from the photos, we’re excited to share that our gluten-free family is growing, with a new addition due to arrive right around the New Year! This week is also the five-year anniversary (wow!) of this blog. It’s hard to believe so much time has passed already. In these past five years, we’ve published more than 600 blog posts and more than 150 recipes. We’ve covered topics ranging from profiles of inspiring gluten-free athletes to race reports and other posts about our active gluten-free lifestyle and my endurance racing. We’ve covered how healthcare reform impacts those with celiac disease, tips for reducing your family’s gluten-free grocery bill, and much, much more. Above all else, though, we’re privileged to have built community. You, our readers, are why we do this. You are why we challenge ourselves to develop, test, and publish an average of one recipe per week. Thank you for your continued support, and for taking this journey with us these last 5 years. To celebrate this momentous time of year, we’re going to do a giveaway! We’re giving away five books, in honor of No Gluten, No Problem’s five-year anniversary—three copies of Artisanal Gluten-Free Cooking’s 2nd edition, one copy of Artisanal Gluten-Free Cupcakes, and one copy of The Gluten-Free Edge. To enter, please leave a comment noting one of your favorite recipes from any of our books or this blog, a favorite post, whatever. The deadline to enter is Midnight, Thursday, August 1, Mountain Time. We’ll pick and announce the five winners on Friday next week! Love your crepes! I’ve made them a number of ways and they’re fantastic. I have only recently discovered your blog (within the last two weeks), but I am thrilled to have stumbled upon it! I was going through a gf low; measuring all the elimination and growing weary of all the work required to maintain a gf diet when I found your blog and, more specifically, your soft pretzel recipe. It gave me hope and strengthened my determination. I don’t recall the last time I ate a soft pretzel, but they are one of my favorite bready food ever! I plan to make a batch tomorrow before heading out to a baseball game. Thank you for all your hard work here. It is greatly appreciated by glutards everywhere. I am new to being gluten free and love your blog! I want to try the caramel apples and a ton more recipes! Thanks for so many great things to try! Congratulations on all your happy news! I found your blog early in the year, after being diagnosed with Celiac in October. My 11 y/o daughter was diagnosed in Dec. and went GF on the day after Christmas, even though her Dr. said to wait, because she just wanted to feel better. One of the first posts I read was 6 Tips for Hosting a Gluten-Free Children’s Party. Haven’t done it yet, but it’s coming…her 12th birthday is in September and we’re going to do it right! Congratulations! I love you grilled piazza recipe! Making your grilled pizza recipe was a defining moment for me in my gf journey! Thank you for a wonderful blog full of delicious recipes. I love the cast iron skillet pizza! So many great recipes to choose from but I like the Belgian waffles. Your blog and books are the best! We love hands down the apple cider doughnut recipe and you have kept your gingerbread house making tradition alive post gluten intolerance. I have many of your cakes (cupcakes, round cakes, and cake pops) and rolls of cookie dough ready to go in the freezer. Your book and blog have been a lifesaver. I own the artisanal GF cookbook and it is my BIBLE! Thank you! And congratulation on the expansn of the family! What a wonderful thing to celebrate. Congratulations!! How exciting, and thanks for sharing the news! Well, your sandwich bread is the bread I keep coming back to. I make the pizza crust on a regular basis as well as the flour tortillas. And of course, your flour blend is THE flour blend. I have not had a bad result using it. This goes for converting recipes or using already developed gluten-free recipes. I love your blog and send lots of people to it every week! Your flour mix is the best. My favorite recipe is for the pumpkin muffins. We make them all the time. People don’t believe they are gf because they are so good. Congratulations on your growing family! Wow! Thanks so much for a wonderful giveaway! For someone transitioning to a gf lifestyle, these would be a great help! Having lived in Asia for 9 years, I’d have to say your recipe for Shanghai street dumplings are my favorite. Taste great + remind me of great times. 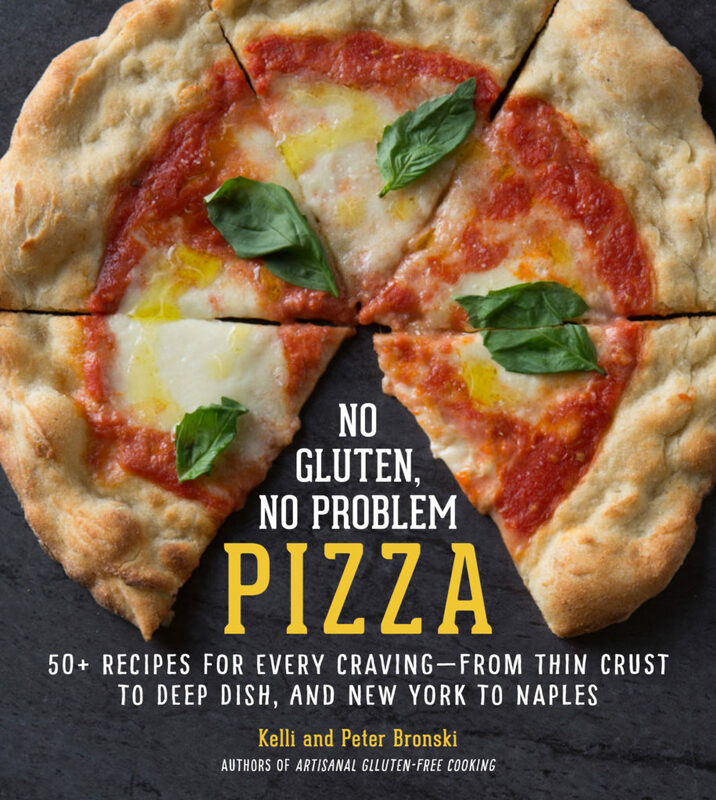 I have gotten your book recently and am dying to try the pizza recipe. We are new to being gluten free and I am a professional chef so I’m used to things being a certain way. It’s been a learning process and your blog has been really helpful. Your Potato Lasagna is an excellent recipe!! Congrats on this anniversary! Being that I live in Germany I love the soft pretzel you posted recently. Very handy!!! Your book and flour blend inspired me and was the beginning of really good GF baking. I haven’t tried them yet, but looking forward to the soft pretzels. You also inspired me to try grilled pizza, I also enjoyed the San Marzano deep dish pizza. Congratulations on your wonderful news! What a beautiful family. The spinach almond pesto is a great treat for us. My husband has IBS so eats gluten free and I eat a low-carb ketogenic diet so it’s not that often we can find shared meals. The pesto works because I can put it on cauliflower and he can put it on GF pasta. The plates look NEARLY the same! Hello, first time visitor. I have not tried any of your recipes yet…but honestly they look great. I recently read Wheat Belly and decided to try GF and boy what a difference. dropped 55 pound so far and feel great. I will be following your blog and learning from you. I have had every GF book the library has, and will recommend your books to them. I thought it would be hard to learn how to do this right. But with the help of blogs, books and the internet…it has been surprising how easy it can be. I was ready to make a big change in my life and want to thank you for sharing your stories and recipes. Oh, goodness, I’m going to have to get these…still finding the “good” recipes as opposed to the rice/sugar versions! I just received 2 of your books–Artisanal GF cooking, and Artisanal GF Cupcakes. Can’t wait to try some of these recipes! Would love to have the GF Edge book as well. Congratulations on so many celebrations! Thanks for all you do for the GF community! I just discovered you and am looking forward to perusing your blog and cookbooks! I love your tortilla and bread recipe! I have recently just have had to cut gluten out of my diet and my mom showed me your blog. I love you flour blend!! And your cupcakes are wonderful!! I can’t wait to try your soft pretzels!! Thank you for so many recipes and options I thought it was going to be so hard to go gluten free but with your recipes its been sooo easy!! I absolutely love your blog! I was diagnosed with celiac disease about 6 yrs. ago and my 10 yr. old daughter was diagnosed about 2 1/2 yrs. ago. Because of the cross contamination my dear husband decided to go gluten free also. I’m always looking for new ideas and recipes. My favorite article is 6 Tips for Hosting a Gluten Free Party. Great information! Hooray for growing families (and bellies)!!!! My favorite post was a recent one and actually not about gluten: the North Folk 50 Mile 2013. It was about perseverance when life calls for it, knowing yourself and knowing when to give up in order to get further overall. A good lesson in living well for longer, not just running well for longer. Everything I have tried has been wonderful. We just made the blueberry bundt cake. So amazing, you don’t even need the glaze. Another big hit with my family are the Belgian waffles. Yum!!! Thanks for all the great recipes to try. Congratulations! I’ve only just started to go GF after I noticed that every time I rewarded myself with cake after a long run or race, I would pay for it for a couple of days. So, I love all of your cake/cupcake recipes. Thank you! Our favorite recipe is your chocolate cookies. We love to add vanilla frosting and turn them into homemade oreos! Congrats on all of your exciting news, and thank you for helping make the GF lifestyle an exciting adventure for our family! First of all Congratulations on the new little one. I found your blog back at Christmas time when I needed to go GF due to Gluten Intolerance. I’ve read all your entries to catch up to speed, Love your blog and to have to pick just one item I love is not easy. After 35 years of being a mom and cooking all the meals your site has made going GF so much easier,I’d have to say your Sandwich bread is at the top of the list along with the pastry dough and the irish soda bread. I’ve recently included fish n chip night into our meals with your Cod fish coating. I’ve changed your tarragon chicken into tarragon pork, love the chicken tikka masala and eggpland cannelloni there are so many recipes I can’t wait to try yet. O and did I forget the chocolate cupcakes are a big hit made several time already. Thank you, Thank you, Thank you for sharing with this blog, the information on the GF products helps to let me know what is out there to look for and although not a runner I do enjoy your running event stories. Again Thank you. Congratulations on all your milestones and successes! I am a huge supporter of yours and want to thank you for all your great work. I often give your books as gifts for those who have recently been diagnosed and tell them it’s the best and all they need! Your flour blend is the best ever. It is all I use and always with great results. My favorite recipe (besides the flour blend) is the cast iron skillet pizza. I have made that many times and have had to tell the gluten eaters in my house to keep their hands off! May you have much happiness with your new addition and may you continue to be inspired to share your recipes, thoughts and life with all of us. Thank you and congrats again! I like that your blog doesn’t necessarily subscribe to voodoo healing… Giant congratulations on the new little one! Congratulations on all the exciting events! My daughter was diagnosed with celiac this past April, and with the help of your books and blog, I’m now feeling like I can deal with this. We’re a family of bakers (my grandfather said that he knew my grandmother was “the ONE” when he tasted her lemon meringue pie), so my favorite recipe so far has been your pie crust – I’d tried to adapt my usual recipe before, but it was a mess. Yours worked great the very first time (and every subsequent time). Thank you for all that you do. Congratulations! My whole family loves the oatmeal cookies. Next up is the pretzels! There are so many of your recipes we love, and I always appreciate your blog posts. I am very grateful for when you break down some of the bigger issues facing the celiac and gluten free communities such as healthcare and food costs. I will say that one recipe that comes to mind is the San Marzano pizza recipe. Gosh that’s good. I also made your banana bread recently with my massive mountain of bananas. Thank you for five great years Pete and Kelli. You’ve always been a great support to me, and to the world. Congratulations! A new baby on the way is wonderful news. I stopped by the blog because my 17yo son Luke just made the Mozzarella Sticks, and I was going to tweet a link to the recipe. We love those. The deep-dish pizza is also fab. Yesterday, I made the peanut butter chocolate bars. We love the blueberry streusel muffins. How can I pick just one? Your cookbook really is a great one. Just the other day 4yo Stella said to me (when she saw it on the counter), “You always use this one!” I’m especially grateful for a gluten-free flour that contains no tapioca (I’m allergic). Thanks for sharing your wonderful recipes with all of us. I own your book Artisanal Gluten Free Cooking. The book is permantly open to your pizza dough…….lol. We make it a lot. I also use your flour blend on a daily basis. 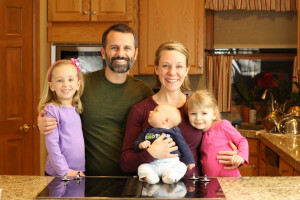 Your recipes have helped us so much since our 2-year-old daughter was diagnosed with Celiac disease. Because she is so severely symptomatic, we decided that our household would be gluten-free. We were so overwhelmed at first, but your bulk flour blend recipe is what I appreciate most because it makes our baking so much simpler! Thanks, and congratulations! I like your GF tortillas! I’d love to be entered into your cookbook give-away! Thanks so much! Congratulations and thank you for all you do and share! So hard to choose but I think the recipe that has most change my life as it is a new technique I learned that brought an old favorite back in to my life is the cast iron skillet pizza. I’d had GF pizza over the years but this technique gives GF the same chewy/crunchy mouthfeel I’d been missing. I love your tempura recipe! Your cookbook is fantastic, and I would love to have the revised edition. Thanks for the blog! Congratulations! We, too, are expecting one in January. And we love the Chicken Korma, version 2.0, among others. I made your Snickerdoodle and Mocha cupcakes for my daughter’s wedding last year, in place of a groom’s cake, as the groom is gluten intolerant. They were loved by everyone. My daughter-in-law helped make them and has now discovered that she has a gluten intolerance. First off congrats! I have been following you for four years since your brother in law told me about your blog and cookbook after he saw me staring dumbfounded at the gluten free section of my Shop Rite right after my diagnosis. I have cooked so many of your recipes over the years. Some of our favorites being the pumpkin muffins, sweet and sour chicken, pulled pork and chocolate chip cookies! You have no idea how much your book and blog have helped me and my family! Thank you thank you!!!! My kids hope we win the cupcake book! Oh I missed it! I was on holidays with no internet. I love your angel food cake recipe. But I love your blend too. I used it today to substitute in another recipe and it worked out perfect again! Thanks for all your hard work! Also congratulations on your growing family. Wonderful blessings!